I think the instant I saw this colour on a youtube video by Zoella I fell in love with it, so I went out to Boots and bought it a few days later. 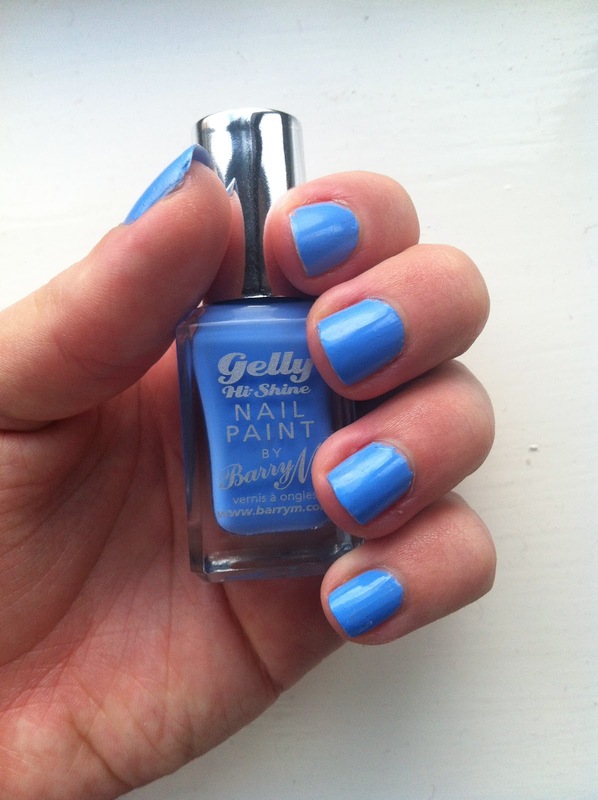 The colour is Blueberry (GNP5) and it's in the new Gelly Hi Shine range by Barry M. I love the quality of these nail polishes they apply really easily, were a great consistency, and give a high shine as described. I needed two coats to get a really even coverage but that was expected with it being such a light colour. So far I'm extremely impressed with the durability of this polish too! Normally my nails chip after a day but I've been wearing this colour for 4 days now and it's still going strong. I think I may have found my holy grail of nail polishes. I'm already planning on buying the blackberry shade next time I pass a Boots store and hope Barry M bring out even more shades for this range soon.